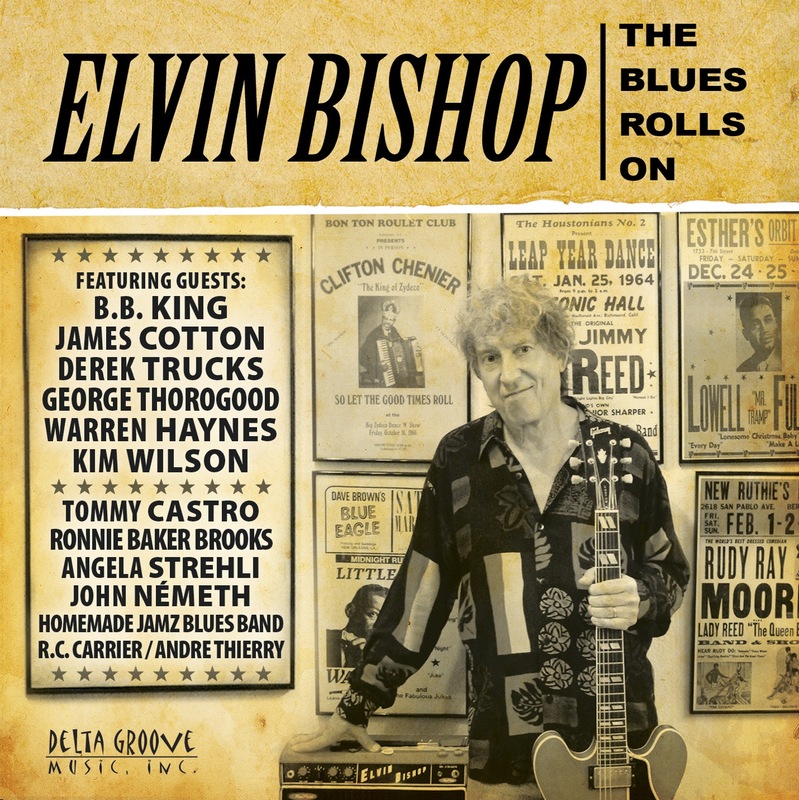 Bishop’s newest succeeds on three fronts: It’s a great album; it pays tribute to the Oklahoma-raised singer/slide guitarist’s early influences; and it assembles an impressive cast of supporting musicians, some of whom are old friends and some who are up-and-coming artists, both types to which he often humbly relinquishes lead vocals. The young players to keep an eye on are John Németh, Ronnie Baker Brooks, the Homemade Jamz Blues Band, Kid Andersen and Andre Thierry. Németh is a soulful singer and harmonica virtuoso from Boise, Idaho. Brooks is a Chicago guitarist/singer and son of Lonnie Brooks. The Homemade Jamz Blues Band hails from Tupelo, Miss. : two brothers and their sister on guitar, bass and drums, ages 16, 13 and 9, respectively. Norwegian-turned-Sacramentan Kid Andersen aspires to merge Howlin’ Wolf with Muddy Waters. And Andre Thierry is a hot Zydeco accordionist from the San Francisco Bay Area. The old friends are Warren Haynes, Derek Trucks, Kim Wilson, Angela Strehli, Tommy Castro, B.B. King, R.C. Carrier, James Cotton and George Thorogood. The standout track is one of two non-“influence” songs: “Struttin’ My Stuff,” Bishop’s killer funk-blues title track from his 1976 album. Four slide guitarists — Bishop, Trucks, Haynes and Johnny “V” Vernazza (who played on the original version) breathe new life into what, along with “Stealin’ Watermelons,” arguably represents Bishop’s 1970s apex. The other non-“influence” song is “Oklahoma,” an autobiographical tune in which Bishop alternates between singing and spoken word, accompanied only by himself on electric guitar. Ending the set is something one always hopes to find on a Bishop album — an instrumental. Jimmy Reed’s “Honest I Do” fits right in with past wordless offerings such as “Sweet Dreams.” One of these days, maybe even an instrumental album will materialize. Wouldn’t that be a slice of heaven? Great review! We appreciate your thoughts! We think this CD is one of Elvin’s best yet. Thanks for the acknowledgement! What an interesting selection of able talent he brought on board! Another example of music before ego!